For all of you Don Carson fans, this one is for the books: Don Carson talking about the state of the Church, and various sundry topics. Mark Dever at 9 Marks spends a rare hour interviewing Don, who generally avoids interviews or anything that promotes him as a guru (if you’re unfamiliar with Don’s perspective on this read his excellent book The Cross and Christian Ministry). Mark prompts Don to talk about a wide range of topics, from how he decided to work in ministry, his first pastorate, his study at Cambridge, how he came to Trinity, the current state of preaching, the SBC, and his involvement in campus Christian organizations. Mark also engages Don in a very helpful quizzing of what he does and does not like about the writings of certain authors such as John Calvin, B. B. Warfield, John Gill, the Puritans in general, Carl F. H. Henry, Peter O’Brien, N.T. Wright plus others. N. T. Wright, Who Was Jesus? 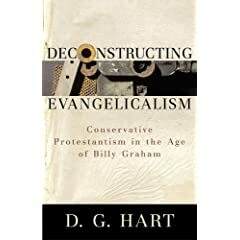 Although Don strongly disagrees with N. T. Wright, and finds many of his works destructive, he does find these two books by Wright of particularly high value. Iain Murray discussed his biography of Jonathan Edwards and his controversial, yet important book ‘Evangelicalism Divided’. British Evangelical historian, biographer and speaker, Iain Murray discusses with Mark Dever at 9 Marks about the current state of evangelicalism and preaching in the US and Britain. He also spends some time talking about the ministries of John Wesley and Martyn Lloyd-Jones.